Page, who took over the reigns from Eric Schmidt this week, has reshuffled his management team in a bid to cut bureaucracy and get things done quicker. Page, who co-founded the company, has promoted seven of his top managers to head up the most important divisions at Google, all of which will report directly to him. "Larry is coming out of the gate blazing," BGC Partners analyst Colin Gillis told the LA Times. "He's clearly not going to be Eric Schmidt 2.0." 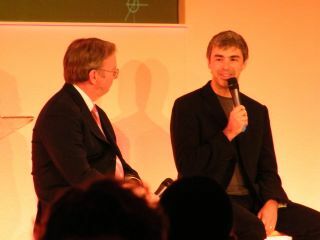 Page, who founded Google with Sergey Brin, was the first CEO of the company before handing the reigns over to Schmidt who served ten years as figurehead from 2001. It is thought that 38-year-old Page has been plotting the high-profile reorganisation for months in a bid to end the political wrangling which has often slowed progress at the company. An LA Times report also claims that he intends to tie the company's bonus structure to the success of Google's social networking ventures, which so far haven't enjoyed that much success. His new role at the company is thought to give Page the kind of power that Steve Jobs enjoys as the head of Apple.